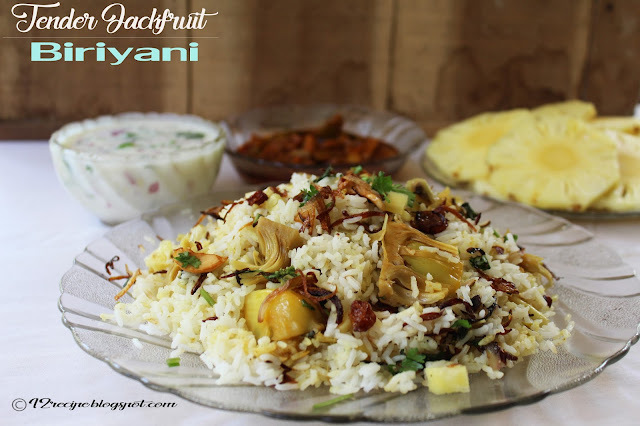 Jackfruit biriyani (kathal biriyani) is a mildly spicy and aromatic rice preparation in which the delicious raw jackfruit gravy is topped with basmati rice. 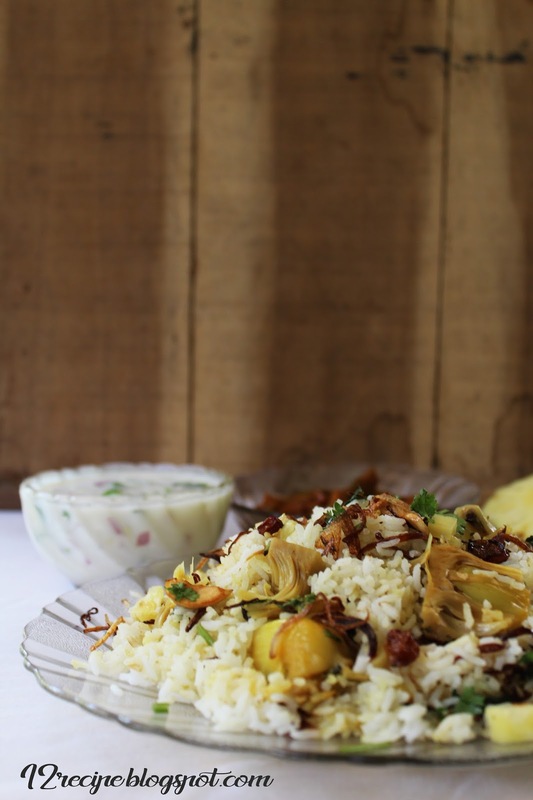 It is prepare like the normal dum biriyani method and of course a great treat for the veggies. Chop the tender jackfruit in to small pieces (by discarding its outer green skin and seeds). Wash them properly (Or put in a pan containing water in order to avoid color changing and drain it when time to add to the gravy). Heat a pan with oil; saute onions until transparent. 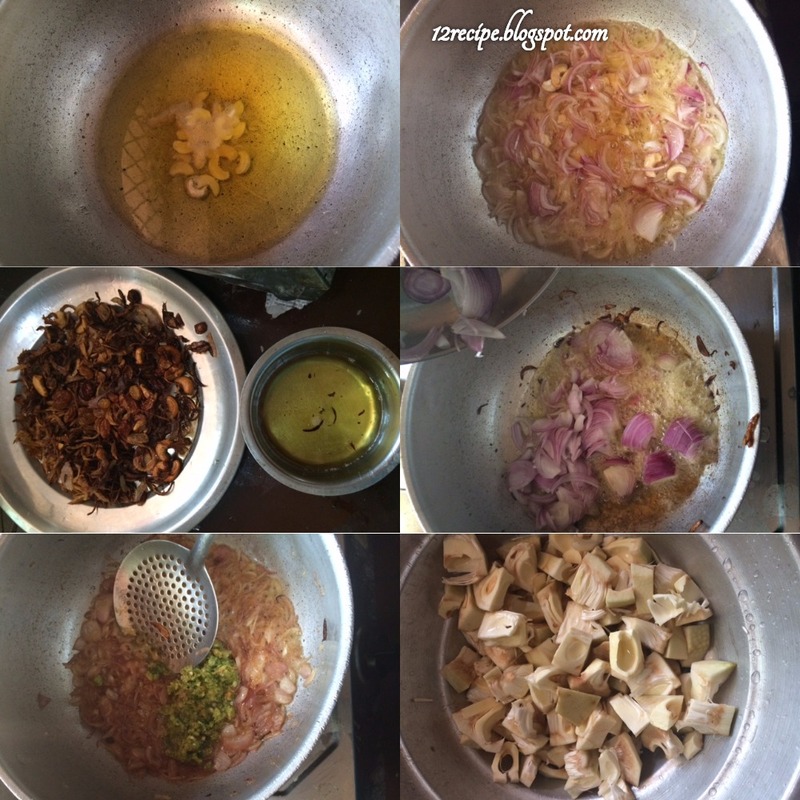 Add ginger garlic paste and green chilly slit; saute for a minute. Add tomato chopped and saute until mashed well. 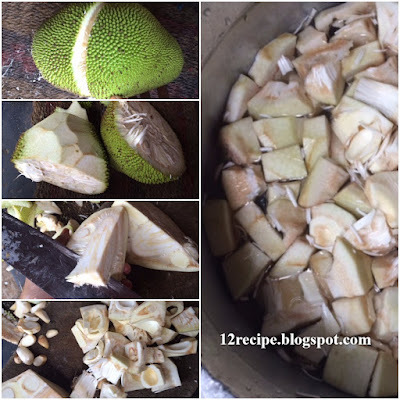 Add all the powders along the jackfruit pieces; mix well. 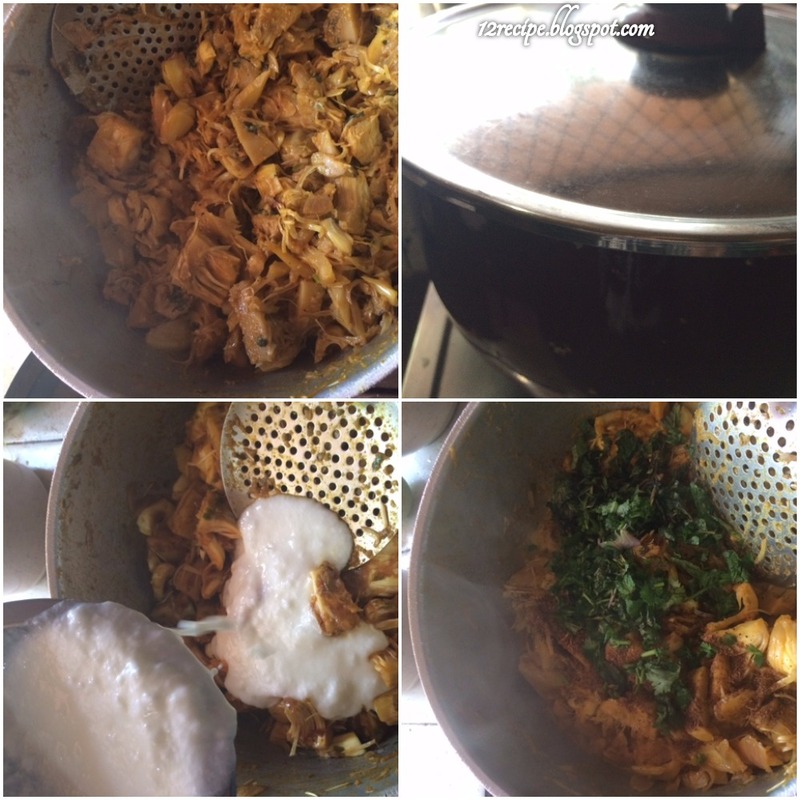 Stir cook for about 8-10 minutes on low falme. Boil 4 cups of water by addind cardamom, clove, bay leaf, cinnamon and enough salt. 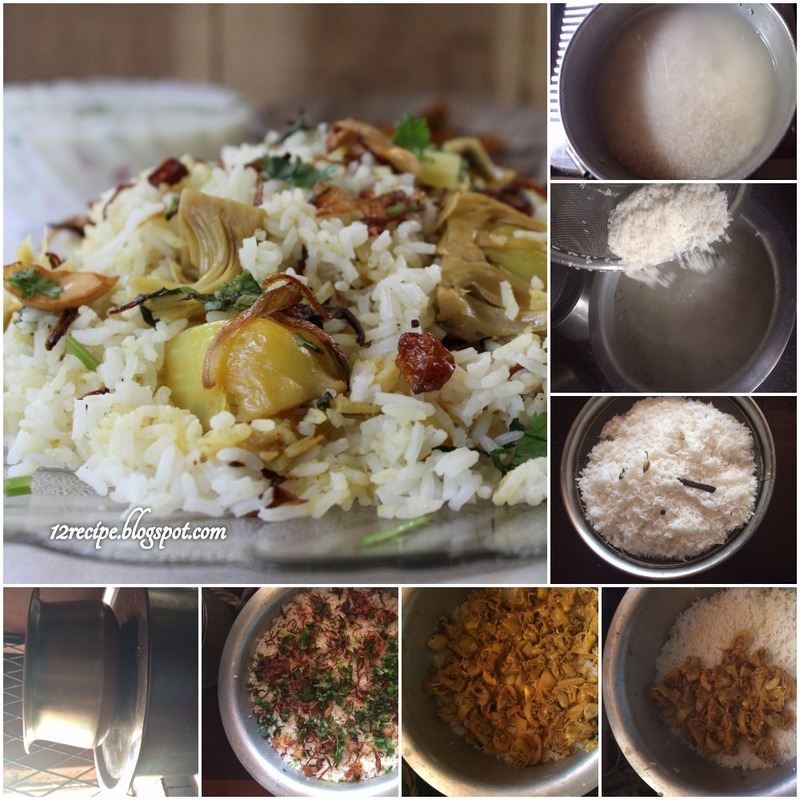 When it boils add washed (and drained) basmati rice and cook until done. Add it on top of the prepared jack fruit masala. Above that spread the garnishing ingredients. Cover the lid tightly and slow cook it for about 15 minutes in simmer mode. Switch off the flame and rest for another 10 minutes. Open the lid and give a nice mix. Serve hot with raitha and pickle!! !